Drake announced via Instagram that the official video for "Hotline Bling" will drop on Monday, October 19. 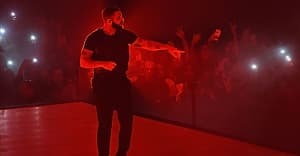 Having initially been dropped as a one-off song on SoundCloud amidst his beef with Meek Mill, "Hotline Bling" has gotten a life of its own, charting on Billboard and getting covered by everyone from Erykah Badu to, uh, Iman Shumpert. Keep it locked for when the video drops on Monday, and revisit Drake's cover story here.